(35 cm), xl, 183 (1) pp., colour frontispiece (with tissue guardsheet) and 62 plates (mainly from photographs by Percy William Pilcher). 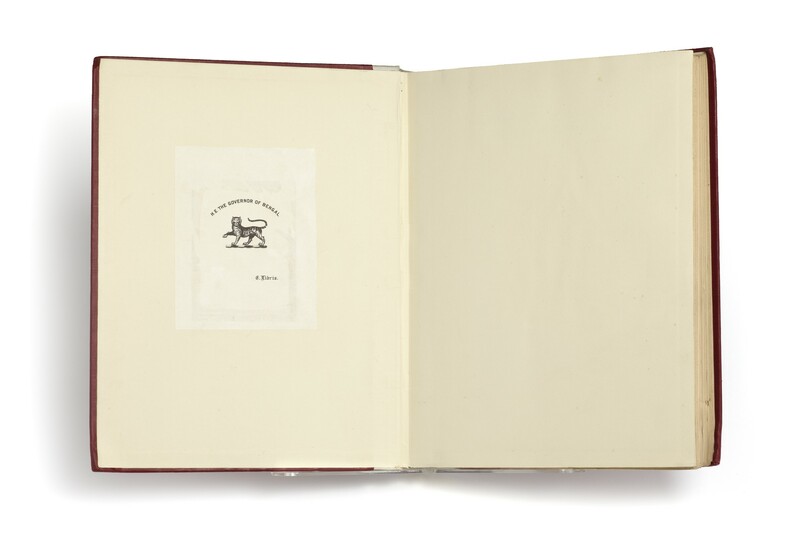 Publisher’s red cloth, white cloth spine lettered in gilt. 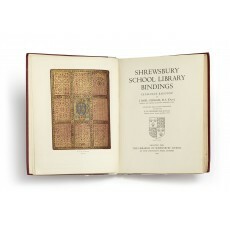 - The Shrewsbury School library was founded under Queen Elizabeth and the first books reached the library before 1600; most were purchased out of school funds, or were presented by benefactors, and bindings decorated by panel stamps or rolls therefore outnumber gold-tooled bindings by a wide margin. 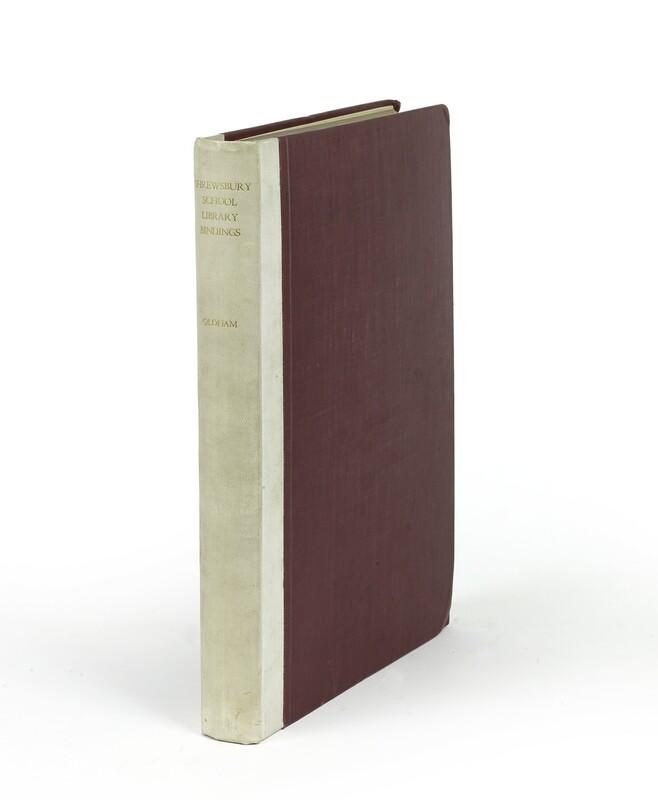 Oldham worked on the catalogue for twelve years, during which he visited 120 libraries and took rubbings or notes of 6000 bindings, painstakingly listing the binding materials, signed and unsigned, documenting the migration of tools from one binder to another, and the result is much more than a normal catalogue raisonné. G.D. Hobson wrote “there can be no doubt that [Oldham] has handled far more English sixteenth-century bindings than anyone now living”, while marvelling at Oldham’s tally of 336 bindings by John Reynes, and 156 hitherto unrecorded with the tools of the Cambridge binder Godfrey van Graten (from a review in The Times Literary Supplement, 9 October 1943, p.492). In addition, the book contains a useful introduction on the interpretation of ownership inscriptions and other evidence of ownership, and on distinguishing English from foreign bindings by their structure and other physical features. 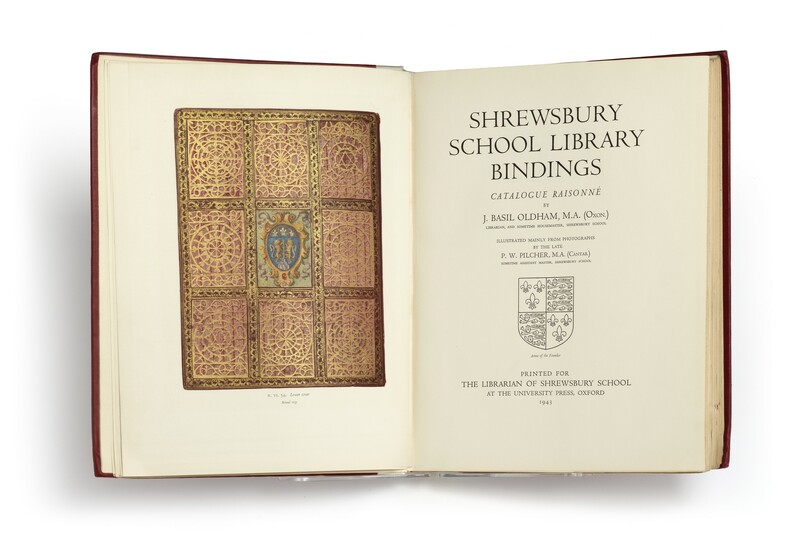 “A model for a future History of Bookbinding in England which still remains to be written” (E.P. Goldschmidt, Catalogue 95, 1951, p.41 item 95). B.H. Breslauer, The Uses of bookbinding literature, New York 1986, p.24. ¶ Copy 163 of 200 printed. Exlibris: H.E. The Governor of Bengal (perhaps Sir John Arthur Herbert, colonial governor of Bengal, 1939-1943), sold by Christie’s South Kensington, 13 September 1985, lot 16. Very good copy.